Last week we took a break in our lengthy campaign. This week we dive back in as our heroes resume the main quest, only to find themselves in the bowels of some windy caves deep underground. 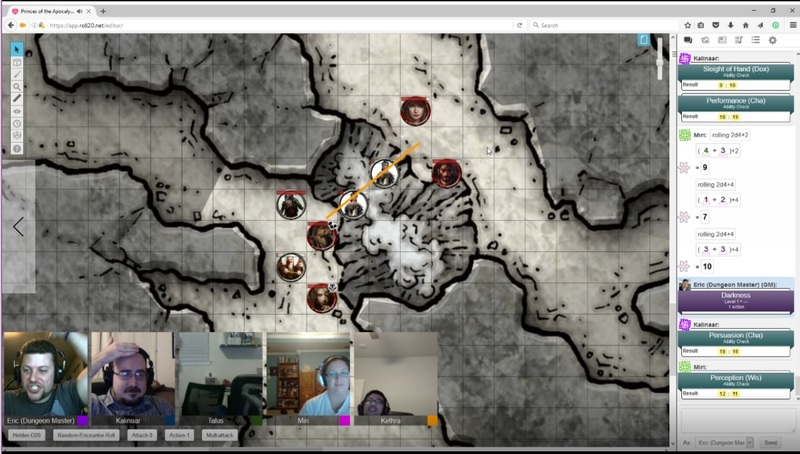 We left off last time with our heroes defeating a nycaloth demon and rescuing an odd mix of captives within the Howling Caves: an aarakocra, two Howling Hatred Initiates, and a drow mage. Having an extra week of prep time meant I could really flesh these characters out. I also wanted to give my poor players some much-need information on where they should be going and what they should be doing. They had gotten a bit off course by leaping down the shaft in the Air Temple pyramid, which lead to an all-new, much deeper dungeon. The PCs had no way of knowing this, of course, and found themselves wandering around, unsure of where they should be going. I capitalized on the opportunity to give them some info using these captives. 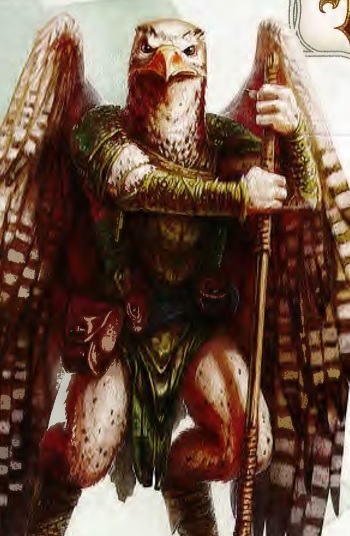 The aarakocra was immediately friendly once Kalinaar produced the horn he’d received from the tribe in the Sighing Valley. The PCs had also witnessed their destruction the last time they came through that way. Is this one, called Kezra, the last of her kind? There’s an interesting language barrier with the aarakocra, which Talus can mostly fix using his Comprehend Languages spell. Kezra was the friendliest of the bunch, but also had the least information. She mostly just wanted to get the hell out of there. The drow mage had an interesting little story. He was sent to investigate these caves after the explosion that destroyed the Deep Gnome dwelling that we saw in our previous session. He’d been separated from his companion and captured. He desired freedom, but also to find her. He didn’t necessarily want to work with the PCs, however. Given the chance, he cast his Darkness spell and escaped. That left the two Initiates. I crafted a backstory for them as deserters, and one was very talkative and willing to trade information for freedom. It was my way of guiding the PCs back onto the “right” path by leading them up to the Fane of the Eye. They could have explored the rest of the Howling Caves. Certainly they’re far stronger than they seem, level wise, and I could have adjusted for certain events. But they decided to agree to help their captors and make their way SouthWest toward the exit. What followed were two different environmental hazards as they made their escape. The first was the Storm Chasm (N4). There are some interesting effects and triggers when trying to cross over. There was some drama when the Initiates tried to cross, hilariously rolling both a critical fail and a success. Kalinaar and Talus took a bit of damage when leaping across from a rolling ball of thunder. The cave tunnel exit slopes upward to the Fane, but I decided to make things a bit more precarious and interesting by requiring multiple skill checks to make it up. Kethra used Alter Self to gain clawed hands while Kalinaar employed a climbing kit to help everyone. Even with advantage both Talus and one of the Initiates fell, causing some fun dramatic moments to occur as more skill checks went off to save them. In the end everyone made the 80-foot climb to the top, entering the Fane at F2. Here they finally began to recognize areas from before, including the Harpy Den at F4 they’d previously cleared out. In fact the PCs had cleared nearly half of the Fane in their previous run from the Air to the Water Temples. The Initiates revealed that the Fane connected the four elemental strongholds together, and that an altar to the North most likely held the current whereabouts of Queen Aerisi Kalinoth. Unfortunately we had a truncated episode this week due to a recent writing gig that’s taking up a good chunk of my Sundays. We may have to end up switching our weekly D&D meet-up day. I’ll keep everyone posted. For now, I’m pleased that the PCs are back in the Fane and may be headed toward a confrontation with the Queen of the Air Cult.